April 23rd, 2018 (7:07 PM). Nice hack! Waiting for the final version. April 26th, 2018 (2:38 PM). May 23rd, 2018 (7:19 AM). Thanks! I hope to get it out soon! Hey, can you give me more details on what happened exactly? Did you use any cheats? May 27th, 2018 (5:19 PM). HM Cut can't be found. I can't finish the game,I already have 7 badges,just need the last one,but I can't get cut so I can't enter Viridian City. The Boat Captain gave Waterfall,not Cut. May 29th, 2018 (3:49 PM). Edited May 29th, 2018 by PokemonAce123. May 29th, 2018 (4:35 PM). Thanks,and one last thing... After entering the last Gym in Viridian,only 1 trainer can be battled ans there is no other way to battle Giovanni? May 29th, 2018 (5:14 PM). Also, the 8th gym is getting a complete makeover for the next version! Yay! June 2nd, 2018 (7:07 PM). The game ends at entrance of victory road with Red blocking the entrance and can't be interact. June 18th, 2018 (8:00 AM). Say, any news on how the next update is coming along? June 18th, 2018 (2:28 PM). It's definitely coming along! To be quite honest, it's gonna be some time before the next release but we're working on it! September 25th, 2018 (8:46 AM). Thought I'd hop by and ask how this hack is progressing? Especially since there has been no update since June. November 11th, 2018 (8:12 AM). 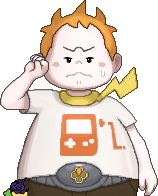 Hey, I was wondering if there was evolutions from fourth gen implemented like Magmortar and Electivire? Cause I was hoping to run a Tangrowth. November 15th, 2018 (11:25 AM). So as of now, I'm expecting to have the final version ready around New Years, but I guess we'll see how things go! All pokemon will be coming from gens 1-3! November 16th, 2018 (9:54 AM). I'll be trying the final version for sure! January 15th, 2019 (11:43 AM). Hey guys! I know it's been a long wait, but Final Version 1.0 is finally here! Download is in the main post! January 15th, 2019 (5:20 PM). OMG another complete rom hack within 2 days! To me it's christmas time 11 months early. now i'm going to play this rom hack. January 15th, 2019 (5:46 PM). Hey I just wanted to let you know so far the hack seems amazing! The voiced protagonist is really refreshing compared to other hacks, and although this isn't the first attempt at a "backwards Kanto" it is most certainly the most fleshed-out. A real treat! I work on petuuuhhh's Scratchmon hack as well as a small personal project in GameMaker. January 16th, 2019 (1:25 PM). Congrats on finishing your hack, PokemonAce123 I love the fact that you can visit Kanto backwards! Awesome!! January 19th, 2019 (3:47 PM). January 19th, 2019 (9:47 PM). Not sure, never really tried it. I guess you can try it out and worst comes to worst it doesn't work? I don't see why it wouldn't work, though. January 20th, 2019 (11:18 AM). Edited January 23rd, 2019 by PokemonAce123. by the Cerulean Cave event! January 23rd, 2019 (12:42 PM). January 27th, 2019 (11:22 AM). January 29th, 2019 (2:28 AM). February 1st, 2019 (3:37 PM).